When Google announced that they were ending their free Google Apps tier, it left me wondering what I would do to get domain email hosting without setting up my own SMTP server. In short, their free tier allowed me to setup up to, I believe, 5 email addresses under a domain I owned, at no cost. I found out that Zoho's mail service had a free tier. While slightly limited and a little confusing to navigate, it met the bare bones functionality I was looking for: email hosting that I didn't have to setup on my own server, with the ability to access it from my personalized Gmail account. There were a few difficulties, but it works. 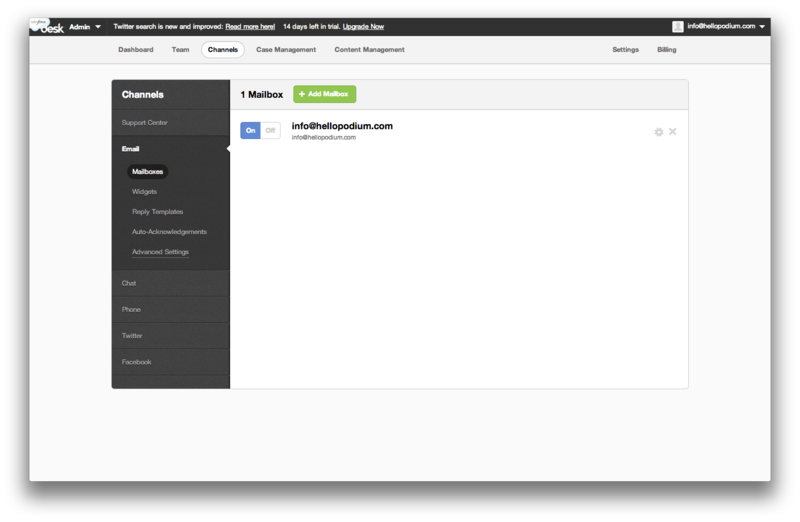 In addition, I found out how to link a generic email that is hosted through Zoho Mail to my desk.com account, and thought I would list the settings required for this (as it took me a little fiddling around). That made it click for me.